“With his death, the history of the heroic era of the automobile is over”, wrote a journalist on the death of Paul Panhard at the age of 88. Paul Panhard’s destiny is intimately linked with that of Panhard & Levassor, the company founded by his uncle René Panhard and Emile Levassor. He devoted his entire career to the firm and made many strategic decisions, such as that of producing the famous EBR armored reconnaissance vehicle. He occupied an impressive number of positions that are witness to the major role he played in the world of the automobile in the twentieth century: “former president of Panhard & Levassor, honorary president of the French federation of automobile manufacturers, honorary president of the Paris automobile fair, vice-president of the Automobile Club de France, member of the Legion of Honour and Grand Officer of the National Order of Merit”. 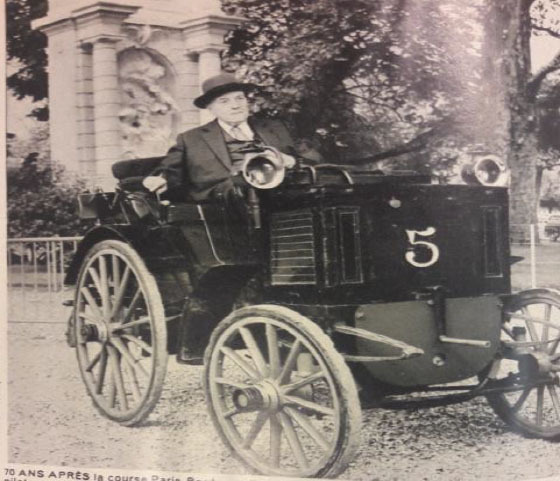 Continuing the family dynasty, his son Jean Panhard succeeded him then became general manager of SCMPL (Société de construction mécanique Panhard-Levassor), which was devoted entirely to the construction of armored vehicles. Video : Les Panhard, une passion qui dure, available on https://youtu.be/9gVDB1IUGg0?t=33s .